Mosaic Associates Architects was honored to received the Van Rensselaer Small Business Award from the Rensselaer County Regional Chamber of Commerce at their annual Van Rensselaer Awards Dinner in September 2018. 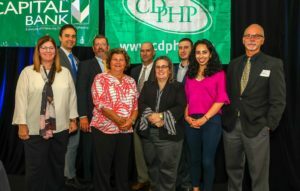 The award recognizes small businesses in Rensselaer County who have a strong commitment to the community. Principal Mike Fanning credited the team at Mosaic for this recognition, remarking that they go above and beyond to give back to our community. 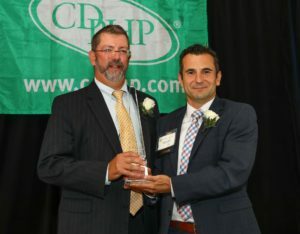 Dan Fariello of Capital Bank presented the award to Mike.